I did my grocery shop at Aldi this week and I wasn’t sure I would find anything to blog about. I do like the store, the quality of the products and prices, but there isn’t always things I’d blog about here at Foodstuff Finds. 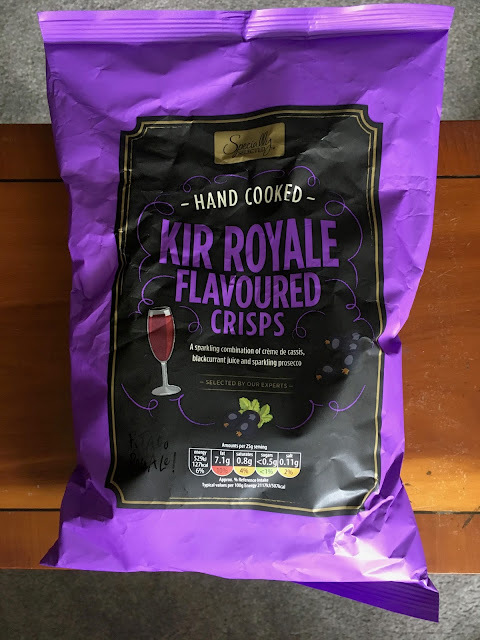 Today though I was very pleased with my finds, as I spotted these rather fun sounding crisps, they are flavoured with Kir Royale; a cocktail made from a blackcurrant liquor called Creme De Cassis and Prosecco. I apologise for doubting you Aldi, these sound amazing! So we shared the bag at lunch time and had them with sandwiches. 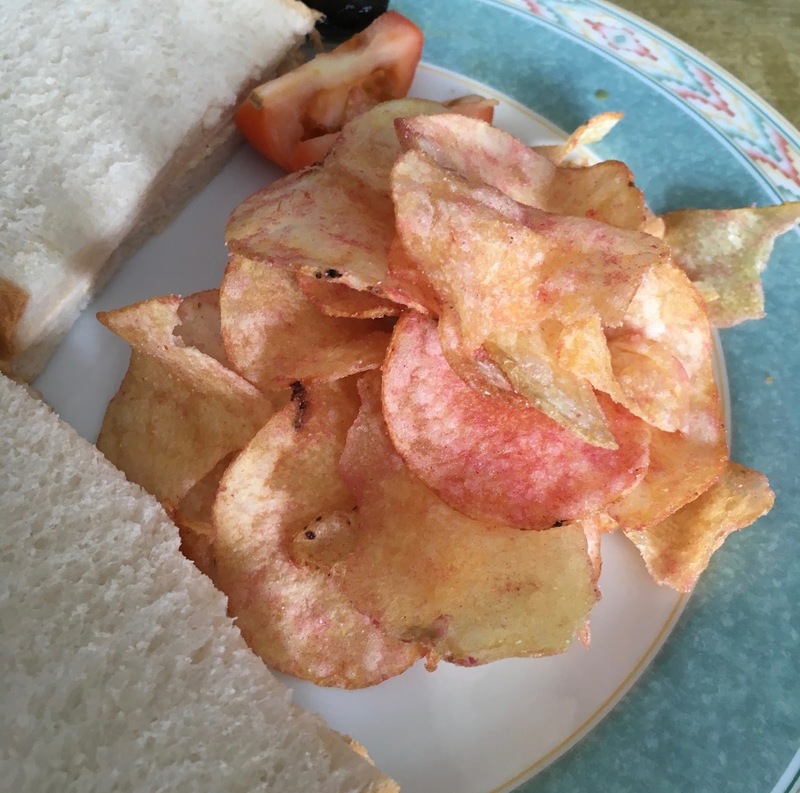 The first thing to note is that the crisps are tinged with their pink seasoning from the fruit. I gave one the taste test, the texture was good, crunchy and crisp, but not to thickly cut. Some crisps are just too thick and are actually uncomfortable to munch. These were just right. The flavour wasn’t what I was expecting at all, I think I had pictured crisps dipped in sweet blackcurrant cordial, but these were a class above. The fruitiness was quite subtle and focused more on the punchy sour side of blackcurrants, there was a lovely fizzy texture too from some Prosecco powder. Crisps work with vinegar, and this takes the sour edge of the fruit and delivers a similar taste sensation, just with a nice fruity hint to it. They are cleverly put together and just work really well. They are not sweet novelty crisps, they are simply well balanced ones with a lovely hit of zing.